It’s time to take a “you” day. Summer’s over and everyone is back to the grind. Here is a list of 6 things to do in order to relax your body, mind and soul. Pilates. Coffee at Succulent. Massage next door. Lunch with a view. Walk on the beach. Crystal Bowl Meditation. Between work, taking the kids to school, soccer practice, grocery shopping, cooking, cleaning, laundry, etc. you barely have the opportunity to take a little “you time”. It’s important to remember to take care of yourself and give your body and mind a break. It’s surprising how much stress can effect your life, so here’s a day planned for you to pamper yourself and most of all, simply relax. Start the day with some Pilates to focus on breathing, muscle control and awareness of the spine. Pilates V has classes Monday through Saturday. Saturdays there’s a 9am Core Classic Contrology or if you’d like to sleep in a bit, try the 10am Cardio Crazy Clare to get that body toned and mind at peace. See also: Get Your Yoga On In Oceanside! 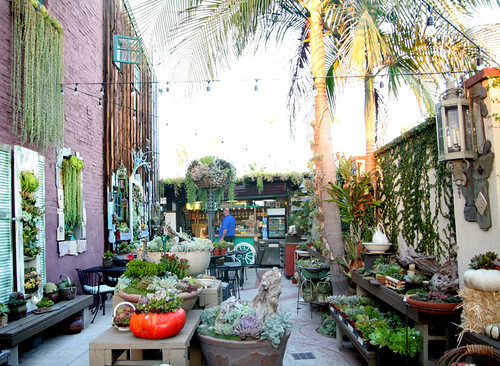 Next stop is the Succulent Cafe for a hot cup of joe or maybe a refreshing smoothie! Hungry from your workout? Indulge in a yummy bagel or another tasty bite. Sit down, take your time, observe the atmosphere and enjoy your visit. What a coincidence! Right next door is the Apotheque Spa. Release your stress and worries with the human touch. Apotheque offers 25-minute, 55-minute, 85-minute or 115-minute massages, as well as acupuncture, facials, exfoliating, herbal remedies, waxing and much more. Lunch time! How about a place with a view of the ocean…after all we are in Oceanside, right? Head over to Stratford at the Harbor and satisfy your hunger with a juicy burger or maybe the mahi mahi fish taco salad! This 4 star restaurant has great reviews and is a fantastic spot to dine. Since we are already at the beach, let’s take a stroll along the water. Close your eyes, face the sparkly blue water and take in that fresh ocean breeze. Let your skin absorb some Vitamin D rays and curl your toes in the sand. So say adios to stress! Take advantage of all the ways you can relax in Oceanside. Don’t let your busy life get the best of you, after all, your body is a temple, treat it that way.